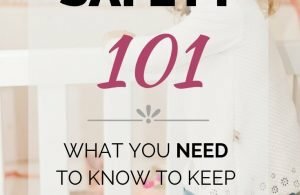 Has your toddler started hitting? Don’t worry, you’re not a terrible parent. Having a toddler that hits can be frustrating and embarrassing. And, it can hurt! Unfortunately, manner toddlers go through a stage where they hit for one reason or another. This isn’t necessarily a reflection on you, but it is your responsibility to teach your little one not to hit you or others. 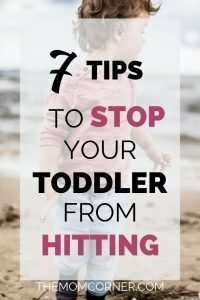 In this post, I’m first going to cover some reasons your toddler may be hitting, and then give you some actionable tips to help your toddler stop this poor behavior. In my experience, it helps to understand why your little one has picked up a bad behavior before trying to fix it. 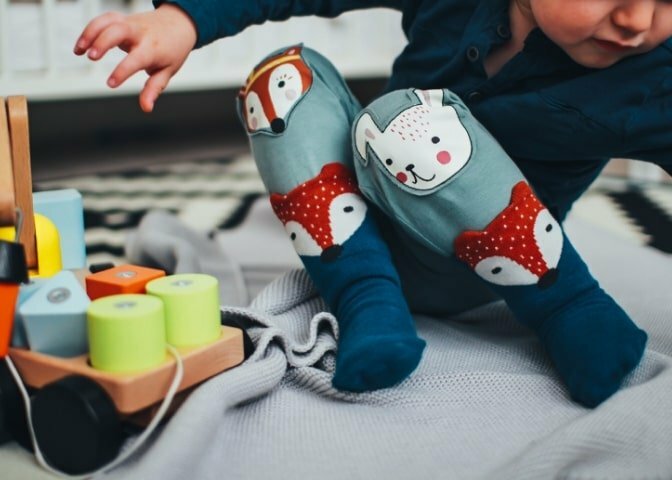 Understanding why your toddler does what he does opens up a lot of opportunity for you to be active and engaged in his life. And not just in the area of discipline! 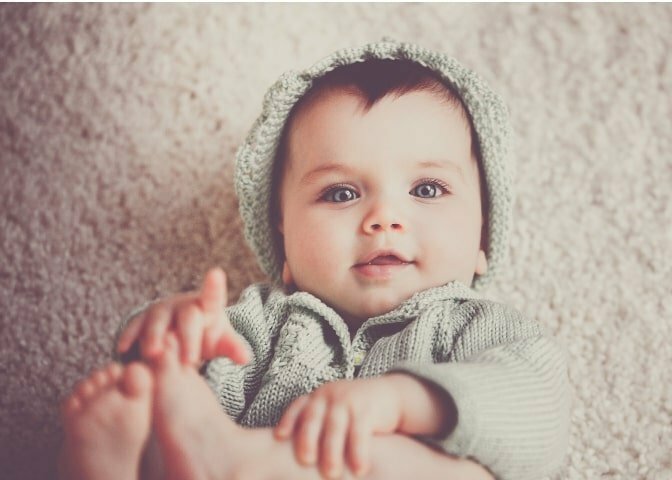 So, let’s go over a few of the more common reasons your little one may have started hitting people. Toddlers are just starting to develop better motor skills, and are excited to learn what they can do. However, it takes a while to really get control over their little bodies. Sometimes, hitting stems from a lack of control over their bodies. For example, maybe the first few times were just accidents while your toddler was trying to play. But, if he got a reaction from you when he did it, he may be more inclined to try again. It may be something as simple as an experiment with cause and effect. Of course, it’s not an acceptable experiment–but your toddler doesn’t necessarily know that yet. At first, most toddlers don’t know how to handle big emotions such as extreme excitement, sadness, or anger. They may try to express their feelings through hitting, because they don’t know how else to process and handle their own emotions. Toddlers are naturally little sponges, constantly soaking up new information from the world around them. Many of the behaviors they display are learned from others. Perhaps they saw another child at daycare or the park hit when they got upset. It’s worth asking yourself if the behavior could have been learned from another child, or even an adult in some situations. A lot of times, hitting stems from the fact that toddlers just don’t know any better. Not yet, anyway. When my son went through a phase of hitting, I think it largely stemmed from not knowing better. He wasn’t trying to hurt us, he was just trying to play. He wasn’t able to control himself enough to play more gently, and he didn’t understand that his actions were unkind and wrong. It took some consistency and effort on our part, but it didn’t take us long to teach him to not hit anymore. I’ll be honest, the first couple times my toddler hit me I kinda just gave him a look and ignored it. He was little, and as long as he didn’t hit me in the face, it didn’t hurt. It was easy to ignore. But the problem with this was that the more I ignored it, the more he did it. He wanted to play, he wanted my attention, and he wasn’t going to take no for an answer. If your child is hitting people, whether it’s you, an adult, a sibling, or another child, don’t ignore it and pretend it’ll go away. Don’t get me wrong, I believe that as a parent you have to pick your battles, and a lot of battles just aren’t worth fighting. But I think this is one battle that you absolutely must address. No one wants their kid to be a hitter, and no one wants to be hit by someone else’s kid. You don’t have to blow it up to be bigger than it is, but don’t pretend the problem doesn’t exist. I consent to the use of my information as stated in the Terms and Privacy. This is a hard one, because the natural reaction to being hit is typically anger, frustration, or embarrassment. 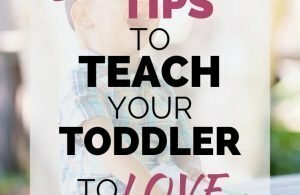 It can be incredibly easy to loose your cool when your toddler is hitting you. 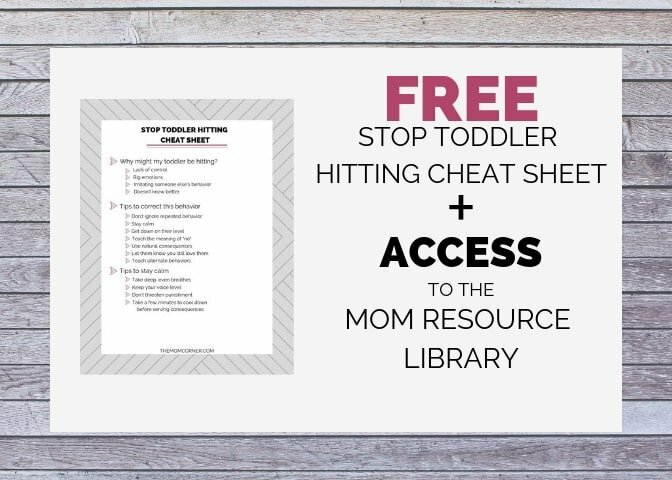 Getting visibly frustrated or angry with a toddler does nothing to diffuse the problem. It often makes it worse. Don’t fight a toddler’s big emotions with big emotions of your own. Instead, be the anchor they use to get back to solid ground. I know it can be hard (believe me, I do), but if you want to correct your toddler’s behavior, you have to keep calm yourself. When you go to correct your child, try to make a point to get down to their level. Get down on your knees and get on their eye level. Let’s be honest, you wouldn’t like it if someone was correcting you from way up above you. Instead, make eye contact and the effort to get down to their level. This helps them calm down and listen better to what you have to say, even if they aren’t talking yet. 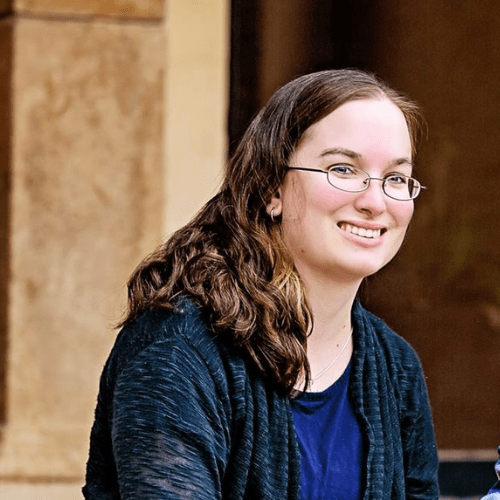 Making a connection, even with something as simple as eye contact, will help tremendously as you steer your child out of poor behavior. Kids need to know what ‘no’ means. And they need to know that you mean it (which means that when you say it, you need mean it). Make it a habit to stick to your ‘no’ when you say it, and avoid saying no unnecessarily. It’s not necessary to tell kids no to every little thing they do that you don’t want them to do. Remember, a relatively small number of battles are worth fighting. Choose yours wisely. Battles that could lead to your child hurting themselves or others typically need to be fought. For example, I don’t make a big deal out of son climbing on cardboard boxes if one is laying around. Any boxes we have aren’t more than a foot off the ground, so if he falls off he won’t get seriously hurt. On the other hand, we don’t allow him to stand on the couch, because if he falls off he will get hurt. If a toddler is hitting someone, it is a battle that should be fought. This poor behavior is not only destructive to the child doing the hitting, it is hurting someone else. Make a habit of teaching your child what the word ‘no’ means, so that you can easily correct his behavior when necessary. One thing that helped us was to wave our index finger at whatever we were saying no to. If we didn’t want him to go into the bathroom, we said no while simultaneously waving a finger at it. It didn’t take long at all for our toddler to connect the dots. And now when he does something he knows he shouldn’t, he waves his own finger at it. While it doesn’t excuse his disobedience, it does show that he has learned what it means and understands when he is not allowed to do something. 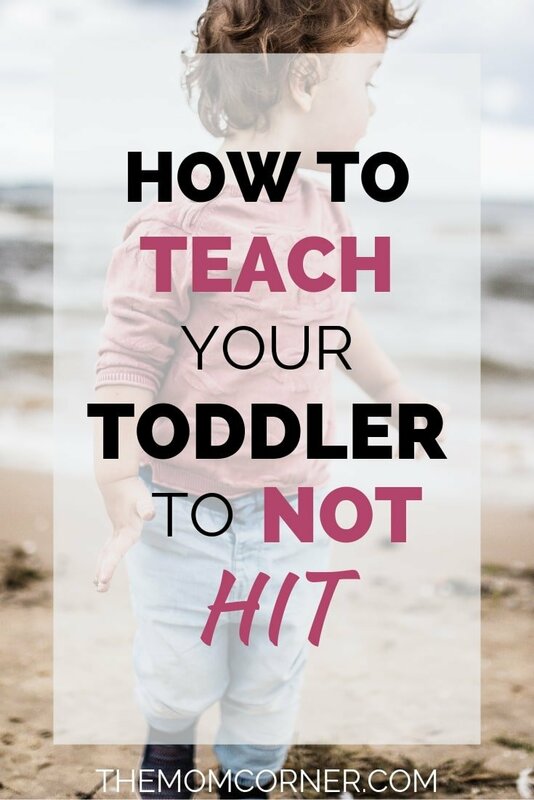 When you are trying to teach your toddler to stop hitting, using natural consequences as a disciplinary method can be helpful. Natural consequences are exactly what they sound like–consequences that occur naturally when someone does something. For example, if your toddler hits you with a toy, rather than making him go in time out try taking the toy away. He hit you with a toy, and so he looses the privilege of playing with that toy. Or, if your toddler is repeatedly hitting you and won’t stop, you might try putting him in his crib where he cannot hit you or anyone else. I’m not going to tell you exactly what discipline you ought to use, because every parent is different. And every parent has their own style of parenting. Some parents are comfortable with some forms of discipline, while others are not and prefer different approaches. Find a discipline measure that works for you and your child, and be consistent with it. After you have disciplined your child, regardless of how that looks in your family, be sure to let them know that you still love them. When my son does something wrong and gets in trouble, I try to always hug him after and let him know that I still love him, even though he did wrong. Even though he isn’t talking much yet, we were able to teach him to what poor behavior he shouldn’t do, and how respond when he does make a mistake. While teaching toddlers the meaning of ‘no’ can help stop hitting once it is started, teaching alternate behaviors will help to eliminate hitting altogether. Any bad habit must be replaced with a good habit in order to stop the bad. The same goes with behaviors. In order to stop hitting people, a toddler need to be taught alternate behaviors to replace the bad ones. For instance, when we were teaching our toddler to not hit us, we would tell him to be gentle. At the same time, we would take his hand and have him stroke our arm instead. Pretty soon he understand that ‘gentle’ meant to be more careful. Now if we tell him to be gentle he will stop what he’s doing, and switch to gently stroking with the palm of his hand. Much better than hitting! 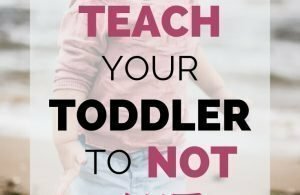 Have you had problems with your toddler hitting you or others? What methods have worked for you? I’d love to hear from you in the comments below, or join the conversation on my Facebook page! Recommending a parent to hit a child because their child is hitting is horrible advice. “Abusive” or not, hitting a child is NEVER ok. And studies show it is traumatic to children. Will definitely be avoiding anything else you write. Coddling parents and making them feel like their choice to hit their children needs to stop already. It’s not ok. Don’t hit children. This was an awesome post! Thank you for your advice. My two year old just started doing this and I have been looking for some insight on how I should handle. Thank you! I’m so glad you found it helpful to you. 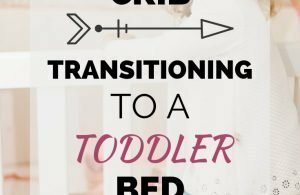 It can definitely be a frustrating behavior, but I am confident you can work through it with your little one! Thank you for this post. We are going through a hitting stage now and I have felt quite embarrassed when I take him around other kids. I hope it passes soon!